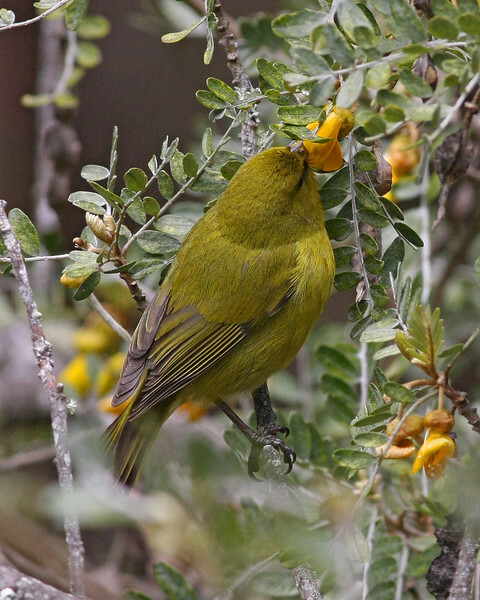 Common 'Amakihi. Four sub-species are recognized on the islands. This photo was taken at about 7,000 ft. on Haleakala National Park in Maui.